David Scully grew up playing football and baseball in South Florida, moving to Fort Lauderdale at the age of 12. After attending Pine Crest for a little over two years, and starting on the varsity football and baseball teams both his freshman and sophomore years, David transferred to St. Thomas Aquinas High School. At St. Thomas Aquinas David lettered two more years in football, starting at quarterback his junior year and strong safety his senior year. Despite numerous opportunities to continue his football career in college, David decided to forgo collegiate athletics and attended Southern Methodist University in Dallas, Texas where he graduated with a degree in Psychology. 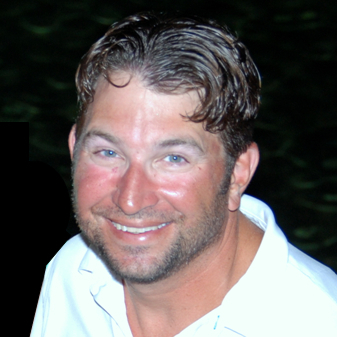 After graduating from Southern Methodist University, David moved back to Fort Lauderdale and attended Nova Southeastern University Law School. David is married to Calla Scully (15 years this past June) and has two sons, Cooper and Holden. David is currently a partner at Loving Scully Law Group, PLLC, a boutique law firm located in downtown Fort Lauderdale that specializes in Estate Planning, Estate & Trust Administration and Tax Law. When David is not practicing law, he is on the practice field coaching youth sports. David has coached his sons’ football, baseball, soccer, basketball and lacrosse teams over the past five years. In 2013, David and Calla decided their community deserved a better lacrosse experience than the one it was getting so they, along with Dale Onstad and EJ Wojtowicz, formed the East Broward Bull Sharks, a youth recreational lacrosse program for boys and girls ages 6-15. With the goal of providing an excellent family lacrosse experience based in east Fort Lauderdale, the Bull Sharks had approximately 175 registrants and nine teams in its inaugural season at Holiday Park. The East Broward Bull Sharks is a member of the South Florida Youth Lacrosse League. David is currently the President of the East Broward Bull Sharks, on the board of the Piccolo Foundation, a member of the Professional Advisory Committee of the Community Foundation of Broward, and on the steering committee for the Joint Tax & Estate Planning Seminar. David previously held board positions at St. Mark’s Episcopal School, Islamorada Fishing and Conservation Trust, and Lauderdale Yacht Club. © 2016 Fort Lauderdale Landsharks - All rights reserved.